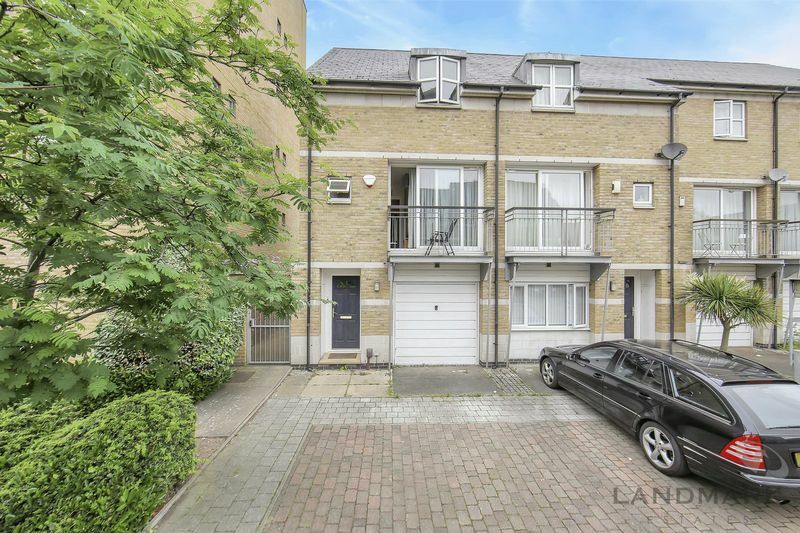 End of Terrace Town house in private Riverside development close to Mast House Terrace Pier with River boat service. 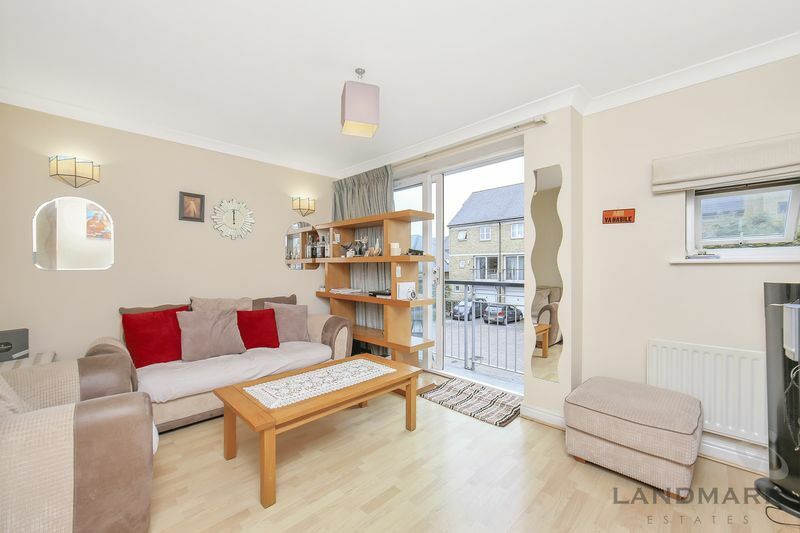 Located in a very pleasant square which opens to River and faces South>, 3 double bedrooms all with large built in wardrobes, 3 bathrooms one is en suite, private rear garden with conservatory off the kitchen, front driveway parking and integral garage. 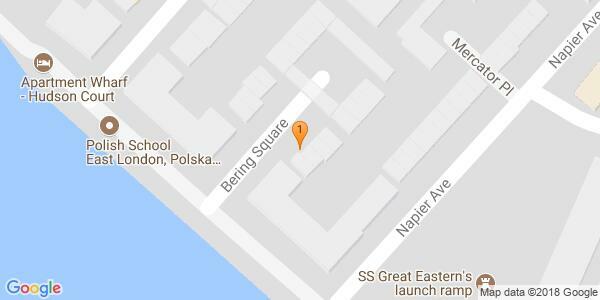 This is a spacious family home in prime location with River views from the lounge and top bedroom, internal viewings are recommended. 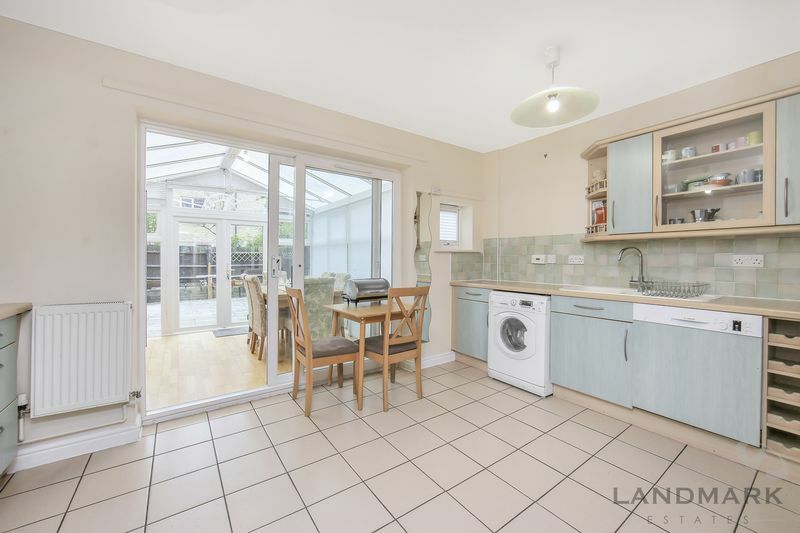 Kitchen : 14'4" x 11'5" (4.37m x 3.48m), Rear aspect window and French doors leading to conservatory and garden. Green pine wall and base units with 2 large matching cupboards, pine effect roll edge work tops with white 1.5 sink and drainer and white mixer taps, integrated fridge freezer, gas cooker with extractor hood and dishwasher, plumbing for washer dryer, cream ceramic floor and wall tiles, GCH radiator, 2 x ceiling lights and many power points. 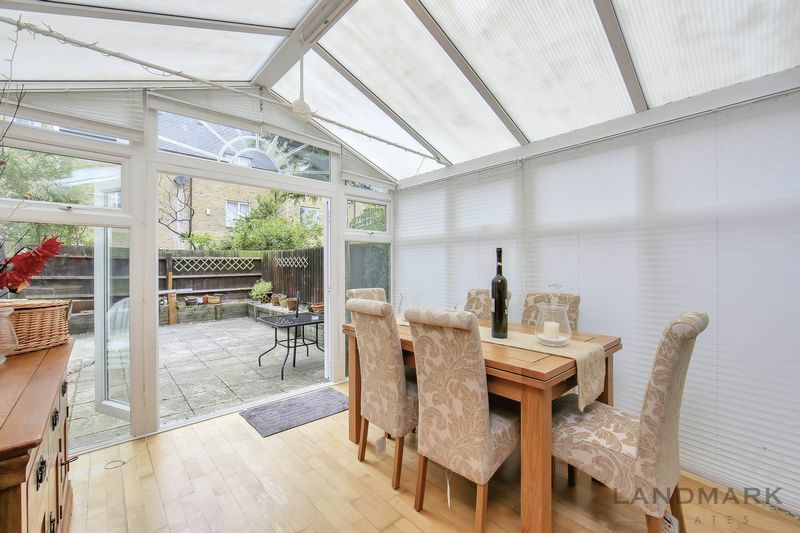 Conservatory : 10'6" x 10'2" (3.20m x 3.10m), Access from kitchen through large French doors, wood flooring, flooring, spot lighting, power points, access to garden through large French doors. Rear Garden : 23'7" x 16'0" (7.19m x 4.88m) widest length 34'09", Total length to side of conservatory is 34'09". 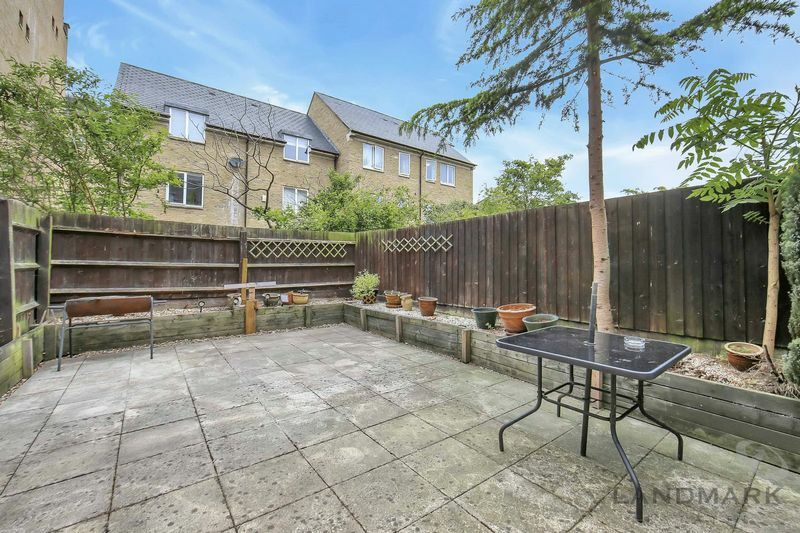 Patio area with flower beds and bushes, water tap to side of conservatory and power supply. 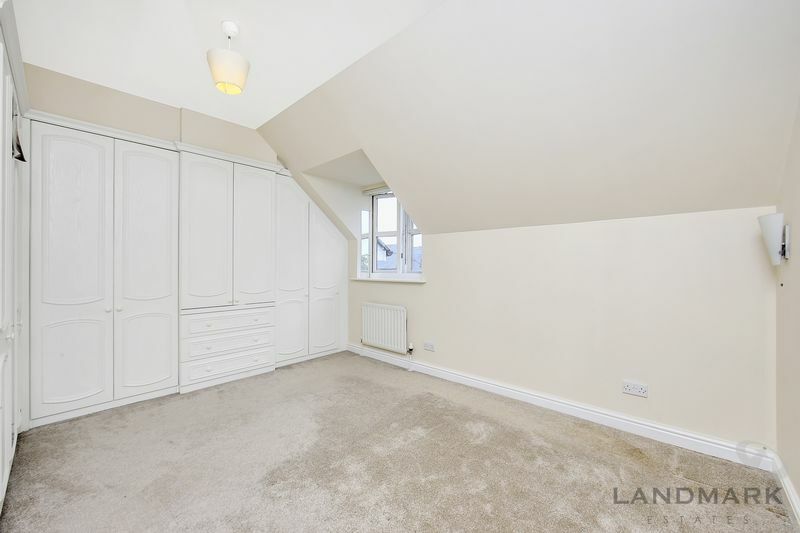 Hallway : 17'6" x 5'8" (5.33m x 1.73m), Built in cupboard for storage and coats, laminate wood flooring and skirting, GCH radiator, under stairs storage cupboard with light, ceiling lighting, BT point, Access to Garage, shower room, and kitchen. Stairs leading to 1st floor. Shower room : 8'2" x 3'10" (2.49m x 1.17m), Shower cubicle with power shower, large vanity wash basin with mixer taps, low rise WC, GCH radiator, laminate wood flooring with skirting and coving, sunken spot lights, wall mounted mirror, extractor fan and additional storage cupboards. 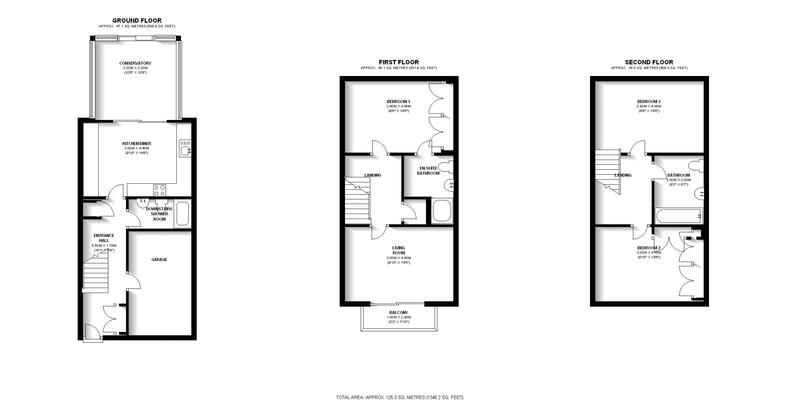 Reception : 14'5" x 9'9" (4.39m x 2.97m), Front aspect double glazed window and French doors leading to balcony with River view, South East facing on the first floor, laminate wood flooring with skirting and coving, ceiling and wall lighting, GCH radiator, BT point and power points. 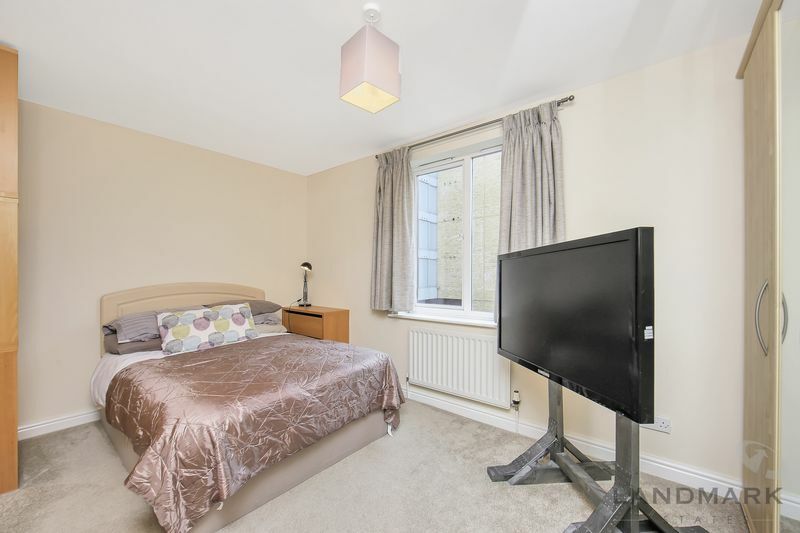 Master bedroom : 14'5" x 9'6" (4.39m x 2.90m), Rear aspect double glazed window, 5 door built in wardrobe, carpeted flooring with skirting, ceiling lighting, GCH radiator, power points and access to en suite shower room. 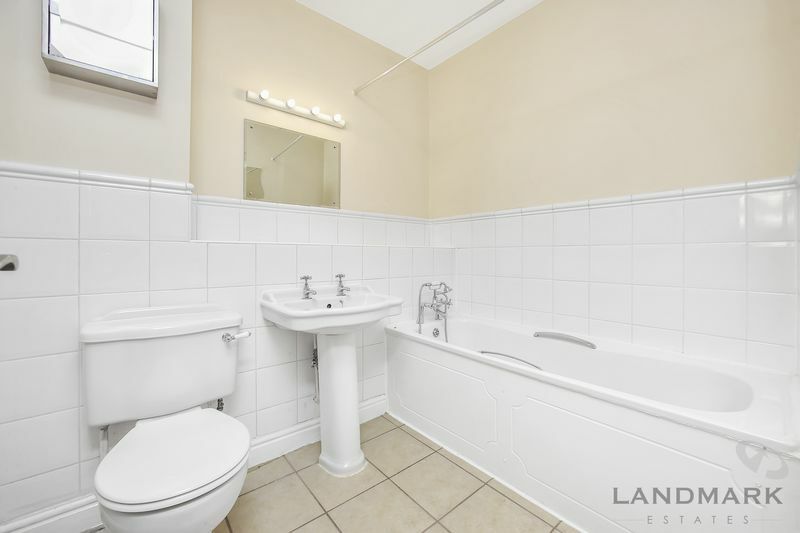 En suite shower room : 7'5" x 6'6" (2.26m x 1.98m), Shower cubicle with power shower, low rise WC, pedestal wash basin with chrome taps, extractor fan, GCH radiator, ceramic flooring with skirting, ceiling lighting and partly tiled. 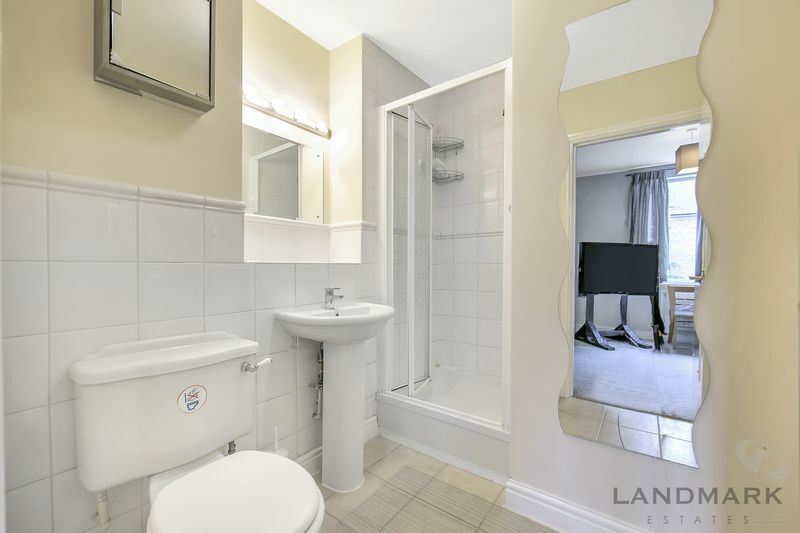 Hallway - 1st floor : Carpeted flooring, ceiling lighting, cupboard housing the water tank, GCH radiator, double glazed window to side, alarm system and power points. Bedroom 2 : 14'5" x 12'0" (4.39m x 3.66m), Loft style bedroom with double glazed window to front on second floor, carpeted flooring with skirting, 9 door built in wardrobes and drawers, GCH radiator, wall and ceiling lighting and power points. Bedroom 3 : 14'6" x 9'9" (4.42m x 2.97m), Loft style bedroom with double glazed window to rear on second floor, carpeted flooring with skirting, 5 door built in wardrobes and drawers, GCH radiator, wall and ceiling lighting and power points. 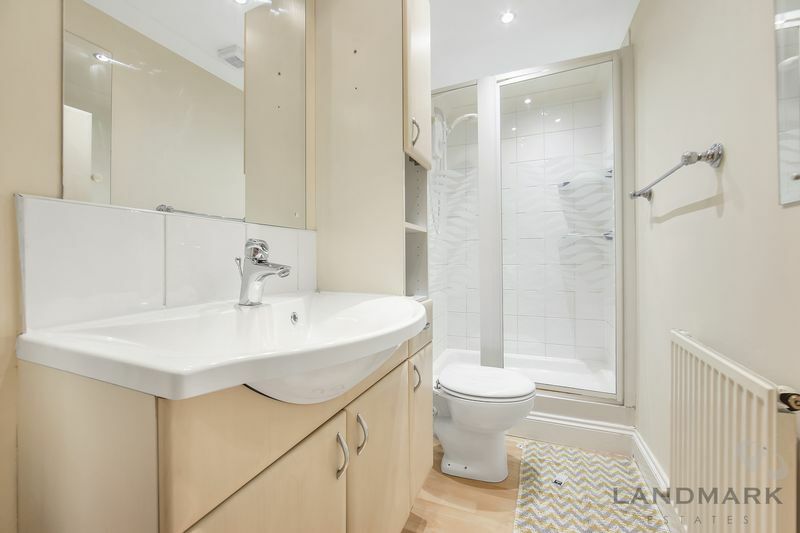 Bathroom : 7'5" x 6'6" (2.26m x 1.98m), White bathroom suite comprising of panelled bath with mixer shower taps, pedestal wash basin with chrome taps, low rise WC, cream ceramic floors, white wall tiles, wall and ceiling lights, GCH radiator, extractor fan and shelve. Hallway 2nd floor : Loft access, ceiling lighting, carpeted flooring and skirting, power points and small double glazed window to side.